Around the world people with intellectual disabilities continue to be denied their right to political participation. They are denied the right to vote; excluded from processes to make themselves heard by governments. Their voices are ignored; their messages about the world they want unheard. People with intellectual disabilities have opinions about things that are important to them. They have a right to be heard and to help shape our communities. The message is simple: My Voice Matters! Over the last two years, with support from the United Nations Democracy Fund, Inclusion International’s (II), project, Accessing the Ballot Box, has worked in Kenya, Lebanon and Zanzibar on political participation. In these countries, and in all regions, as these discussions have taken root and flourished, exclusion from political participation has been identified as a barrier to full citizenship and inclusion. 62% indicate there are social and cultural restrictions that limit political participation. A recent survey by MENCAP, Inclusion International’s member in the UK revealed that: Almost one in five people with intellectual disabilities were turned away from their polling stations when attempting to vote during the latest local elections. "I need to know how to vote, If I don't it's like they are denying all my rights, it’s like being banned..."
In 2011, more than 64 countries participated in thematic study by the UN Office for the High Commissioner on Human Rights. The vast majority reported that: persons with psychosocial and intellectual disabilities continue to be deprived of their right to vote and be elected on the basis of their disability. Exclusion from political participation is not merely about laws and policies. People with intellectual disabilities and their families tell II their disenfranchisement is directly related to inclusion in community. 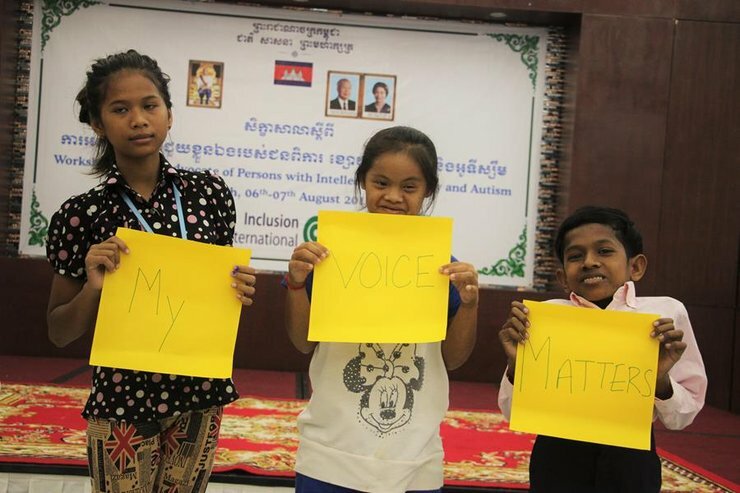 Plain language guide on inclusive civic engagement: A guide for people with intellectual disabilities on the right to vote and have a say on the laws and policies in their country. Accessing the ballot box is as much about building inclusive communities as it is about improving electoral laws, policies and practices. Unless and until these issues are addressed we risk continuing to ignore the voice of people with intellectual disabilities and their families. Originally published by Inclusion International on 03 December 2015 and reposted with permission.